It’s difficult to combine business and personal issues but a family business patriarch or matriarch is forced to deal with both at the same time. This presents a family business challenge when the family leader is pressured to perform according to the expectations of his family. He can be pressured to make decisions that are acceptable to all members of his family in order to enjoy a harmonious relationship at home. This can hinder him from doing what is necessary to improve business operations. 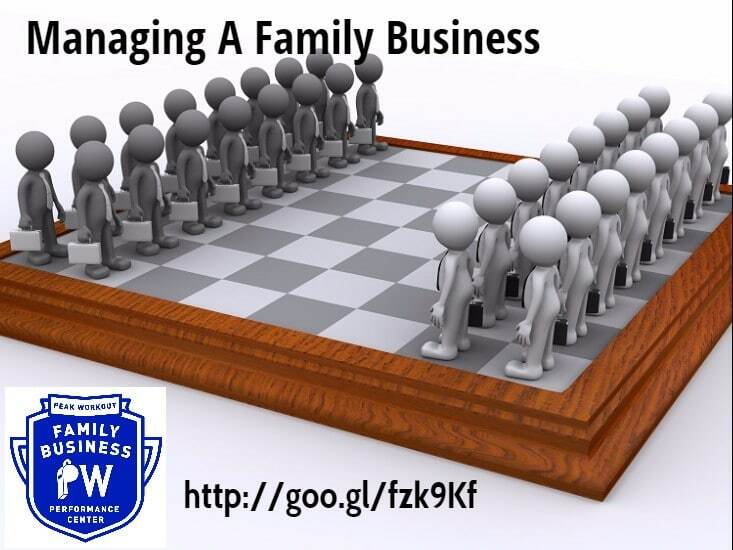 Moreover, managing a family business in today’s environment is complex. There are times when difficult decisions need to be made to ensure the survival and the profitability of the business. So whether it is a family owned business or not, the business should be managed according to best business practices and principles. If the business is subject to the opinion of family members, who may not have the knowledge or skills to make management decisions, it could lead to failure due to poor management. Succession is a critically important issue to tackle. This may be especially true when the patriarch or matriarch has more than one child. In many cases the children of the owner fight over the ownership or top management positions of the business because the owner did not make it clear who would own or manage the business after he passed away. Avoiding these types of issues is just a matter of planning. Having a written succession plan will enable all the children to live harmoniously with one another while helping the family business succeed. As in any business, the family business should have a designated leader whom everyone should be able to respect and obey. The leader should be capable of making sound business decisions. If he is not a competent manager, it will cause family business conflict as other family members feel that they could have handled the situation better themselves. All things considered, even if the family has a sound business relationship, separating business from personal matters is paramount. This will enable them to make decisions without bias for the betterment of the business. In addition, separating the personal from the professional will make family business owners more flexible in making decisions at the workplace. Probably the most important thing in managing a family business properly though, is ensuring that the whole family maintains a good relationship that will last even if the business doesn’t. Ultimately, family is still more important than the business because the business can be replaced but your family can not.